We’ve already received a ton of positive feedback on the Content tool, which continues to keep an eye on your content posted on external websites. It’s high time to trigger the sustained growth of our tool’s functionality! 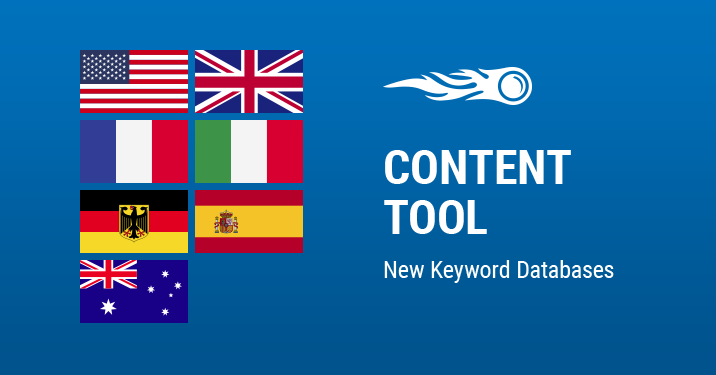 We've recently added new keyword locations for successfully checking your articles’ positions in the Google top 100. You can switch to another location in no time in the Keywords tab. A small reminder: if you switch to another location, all previously gathered keyword data for a selected article will be lost. In case you don’t know much about our Content tool, please read this.